Your storage unit is literally an extension of your home. It’s the place that holds the memories you may not have the room for and properly preserving your valuables. Cleaning, maintaining and reorganizing your storage unit on a regular basis is essential to keeping your items in good condition. If you have recently secured a storage unit it is important to do a thorough cleaning first. Residual debris may have been left behind by previous owners. Sweep the empty unit to remove any dust, dirt or cobwebs. Insects are intrusive and can damage important papers or furniture. If you have owned your storage unit for some time, a yearly spring cleaning is a perfect opportunity to get in there and clean. While it may be labor-intensive you’ll be happy that you took the time and effort. First, remove all items from the unit and place them in a secure spot nearby. This will give you the opportunity to do a thorough cleaning of the space. Again, sweep to remove debris from the floors and cobwebs in the corners that may have collected over time. While your belongings are out, give them a good dusting as well. Inspect furniture pieces for deterioration or water damage (sometimes moisture can seep into a unit without one knowing). Now that you have emptied and cleaned your unit, place some rodent or bug traps in the corners – especially if your unit is located outside. Whether you plan on having your unit for 3 months or 3 years it is important to maintain the space. 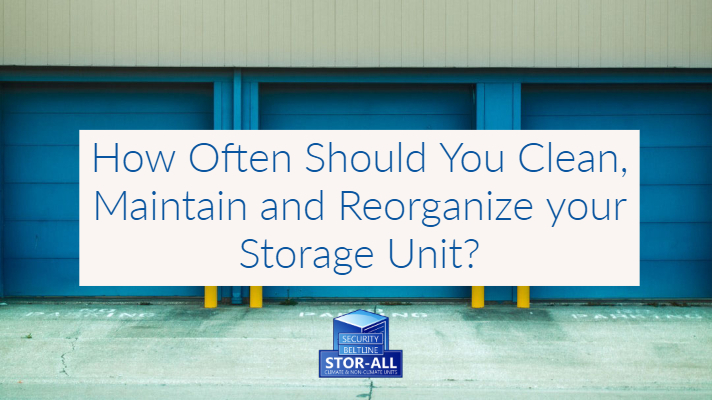 If you are using the unit on a short-term basis, try to make a monthly visit to ensure your items are being well kept. Depending on the items you have stored, long-term storage may need only a couple of visits a year. If there has been a lot of rain in your area, stop by to make sure there has been any water damage caused by leaks. Cleaning out your unit on a yearly basis is a good time to also go through and reorganize. Depending on the valuables you have stored, it may be an emotional time to see what you have stored. Prepare yourself and take along a partner to help you go through each box. Having some assistance will help maximize your space. 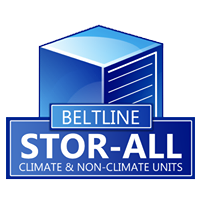 Creating an organized system is essential to having a properly maintained storage unit. It will make things easier to find the next time you visit. First, larger pieces of furniture such as dressers, beds or tables should be turned on their sides and up against the walls. Cover them with blankets to prevent debris and moisture. Label boxes and write the contents of each box on a card and tape it to the outside. This will prevent you from investigating each box the next time you visit. Make an inventory of what is inside the unit and keep that list in a secure place in your home.